Kobo Glo HD vs Amazon Kindle Paperwhite: Which one's best? Review Over the last few years, the market for e-readers and books has managed to both consolidate and grow. Many more people have an e-reading device, or use tablets to read, while at the same time the number of players has shrunk. Where once there was a big range of devices, including the venerable old Sonys, and a selection of stores, there are fewer places than there used to be. 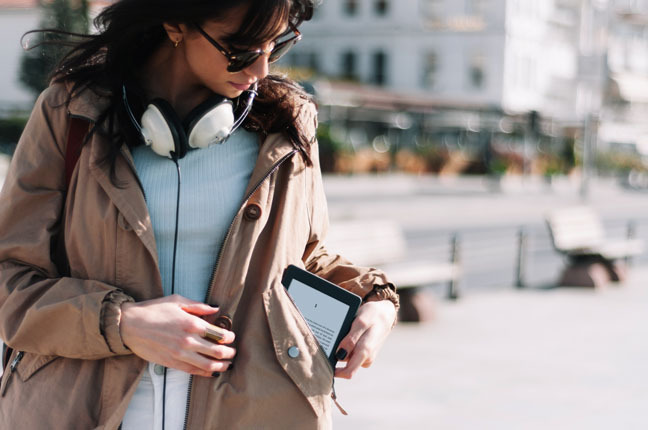 Amazon's juggernaut has swept many away, while stores like WH Smith and Sony's own site decided to stop selling e-books and just hand their customers over to Kobo. Today, the two main players for both bookstores and devices are Amazon and Kobo. That's not to say you can't get books elsewhere – many publishers also sell direct downloads – or buy devices, for that matter. But for those who want convenience and ease of use, it's one or the other. Both companies have just released their newest readers, based on e-Ink's six inch 300dpi Carta screen. Each gives you a compact, touch-controlled device that will slip into your jeans pocket, with built in Wi-Fi to provide instant access to their respective stores. So there's no need to connect to a computer or even to have one available. To see how they fare, we tested them side by side. Both the new Kobo Glo HD and the Amazon Kindle Paperwhite can be yours for £110 – though in the case of the Kindle, that's the version with Wi-Fi only and special offers on the lock screen. Ditching the special offers costs an extra £10. Adding 3G for sync (and shopping) everywhere takes the Kindle to £170, or £180 without offers. That £60 is, presumably, what pays for your global “free” syncing. There's only the one version of the Kobo, and it has Wi-Fi but no 3G. There's about 5mm more bezel above and below the screen on the Kindle than on the Kobo, and while the latter's power button is on the top, the former has it on the bottom. Neither has any other controls as they're both entirely touch screen driven. 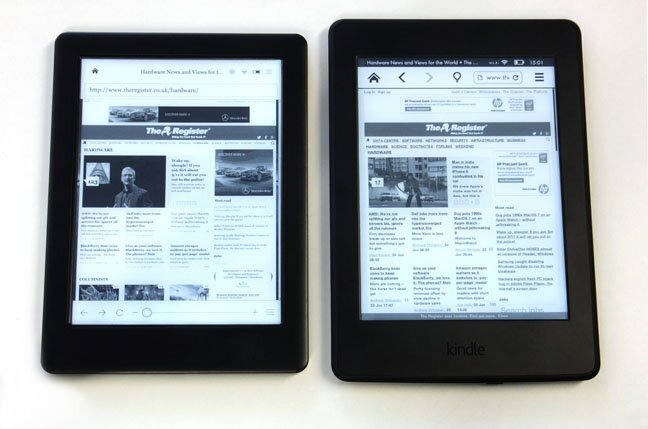 The Kindle weighs 205g for the Wi-Fi-only version, compared to 180g for the Kobo. In practise you'd be hard pressed to notice a difference. Both are light but feel comfortable to hold, with a textured surface on the back panel. Each can be plugged into your desktop to manage books or charge via USB, and there's a little over 3GB of free space in each case. That should be plenty. Indeed, a quick look at my collection suggests most books are around the 1MB mark, so either of these readers will be able to hold a few thousand titles. Thanks to the e-Ink screen, battery life on both is excellent. If you don't use the front-lighting you'll be able to get weeks out of either. Even if you are using the light quite a lot, a full charge should probably see you through a two week holiday without any difficulties. On specs alone, there's little to choose between these two unless, of course, the 3G connectivity is important to you.